Here we will look at some salient and major variations in language use in Japan. In the limited space given to this essay, then, we can characterize, in certain broad strokes, only some of the factors that figure into variation in language use, that is, the variation due to region, gender, modality (spoken and written language), and age. We will have more to say about an important aspect of language variation—language of honorification—in a separate essay. A dialect area is defined as a geographical area into which language variations systematically converge. Even within a dialect area, there are a number of discernibly different dialects. Depending on how finely one make a distinction between one dialect and another, one can say we have tens or as many as hundreds of dialects. Many factors have contributed to the rise of a plethora of dialects, a phenomenon comparable to the situation in the British isles. In Japan, dialectal variation is due to high mountains and wide rivers that constituted a natural barrier to communication, a relative immobility of people's lifestyle until recently, a long history of habitation, a lack of means of mass communication until recently, among others. 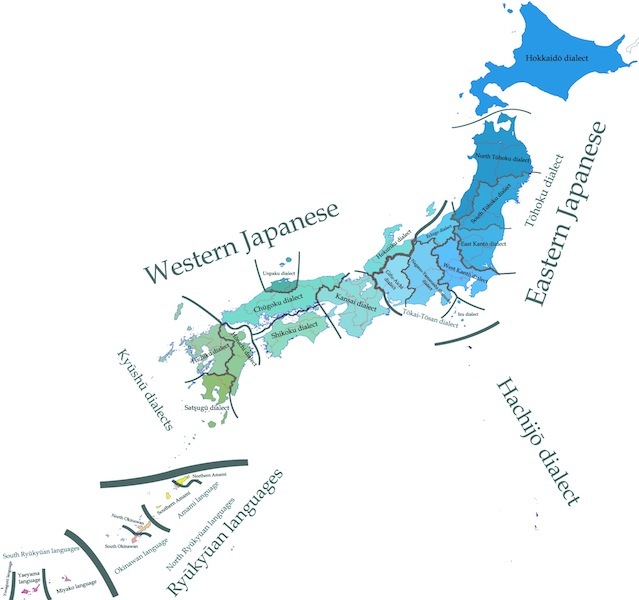 If we remove Okinawa (where a separate language is spoken) from our present discussion, there are three major dialect areas in Japan—the southern island of Kyūshū, eastern Japan (roughly east of Nagoya), and western Japan (roughly between Kyūshū and Nagoya)—with the dividing line (in linguistics, called an 'isogloss') between east and west in the middle of the Japanese main island of Honshū, demarcated by a range of mountains. 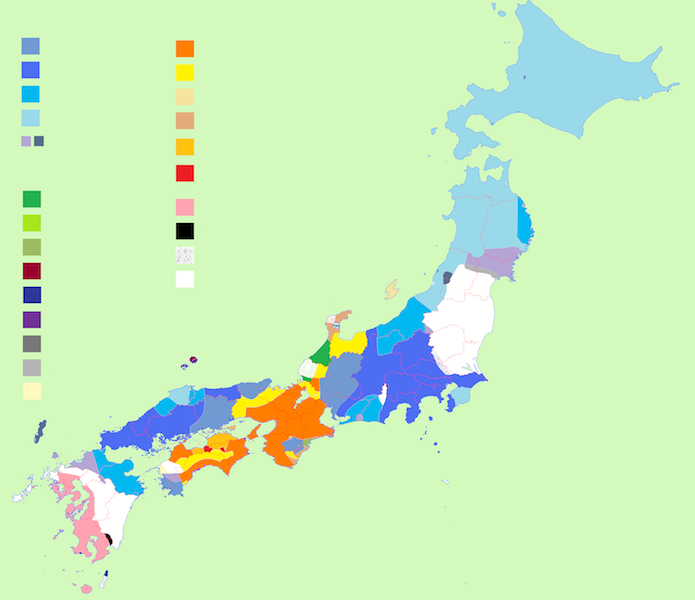 How many dialects are there in Japan? What kinds of issues arise from thinking about an answer to this sort of a question? 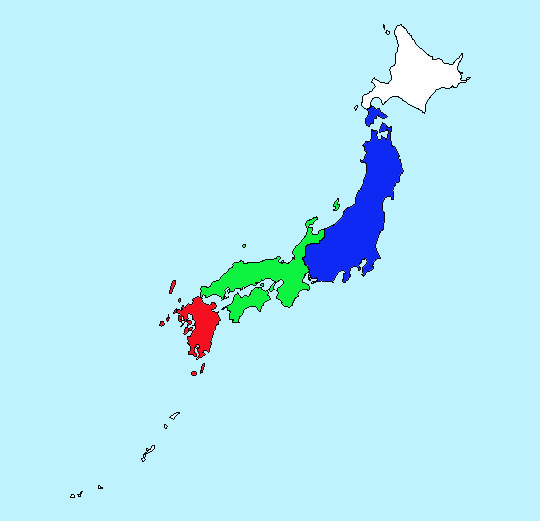 Name the major dialect areas of Japan. Describe how the Japanese language became standardized around 1900. What was a purpose of this initiative? What is thought to be the source for gender differentiated language? How did it develop over time? Describe some elements of coarse language. What is formal language? How does age affect language use? Ide, Sachiko and Naomi McGloin. Aspects of Japanese Women's Language. Tokyo: Kurosio Publishers, 1990. Iwasaki, Shōichi. Japanese. Amsterdam and Philadelphia: John Benjamins, 2002. Kindaichi, Haruhiko. The Japanese Language. Tokyo: Tuttle, 1988. Shibamoto, Janet. Japanese Women's Language. New York: Academic Press, 1985. Identify factors that affect language variation in Japanese and languages in general. ELA or Linguistic classes that explore the development and evolution of language or debate issues surrounding standard vs. non-standard dialects. Intermediate to Advanced Japanese classes that explore language variation in Japanese. Using this article and other resources, students should attempt to answer the question: What is standard American English (or Japanese)? Students can either participate in a debate or a Socratic circle, while offering various viewpoints on language variation and who/what controls variations in a particular language. Japanese students can demonstrate their understanding of dialectal variation through putting on a skit in two different dialects. Students should research two different dialects and put together a handout of the key lexical and grammatical features of each dialect to give to their peers. What are some of the factors that may vary language according to the author? What kinds of barriers may contribute to dialectal variation in a country? What dialect areas are in Japan? List a few of the ways the Japanese government controlled language in Japan. Why do you think they made some of these changes? 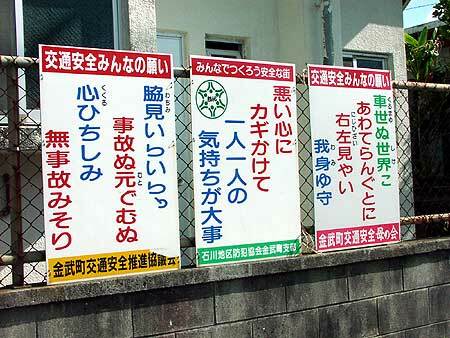 What dialect is widely understood in Japan? What has helped this dialect become so widely used? Other than the government, what were some other causes of language variation in Japan? What changes were made, who was affected, and why were these changes made? One type of language variation includes changing vocabulary words or grammar patterns, but what is another way that language variation occurs in Japanese and give an example from the article.